Last year, Chelsea Mayo of Brunswick, Georgia, and Ashai Brown of Dublin, Georgia, stepped up and showed that they could play NJCAA soccer as midfielders. Both Mayo and Brown will be returning for 2013. Also looking for playing time in the mid-field will be three South Carolina students including Jenny Beebe of Walterboro who played on the wing for Colleton County High School, Rachel Lawson of Brunson who played central midfield for Wade Hampton High School, and Sarah Johnstone of Summerville who played at Cane Bay High School. Joining the squad from out-of-state will be Shannah Barrow of Screven, Georgia, who played outside mid for Wayne County High School, Charlene Taylor of Sylvania, Georgia, who played for Screven County High School, and Kerrian Morris of Lauderdale Lakes, Florida, who played for Boyd H. Anderson High School. The Indians will look to a quintet of forwards to spark the offense. Sophomore Elle Shelton of Queensland, Australia, will return after missing a big chunk of the 2012 season due to injury. She will be joined up top by NiAundai Hollins of Columbia who made her mark as a striker for Richland Northeast High School. Shaelaundra McLeish of Tamarac, Florida, comes highly recommended by her coach at Boyd H. Anderson High School. Neichie Etienne played up top for Coconut Creek High School, and Shayne Smith of Spring, Texas, will also be joining the Indians new in 2013, looking to score some goals. 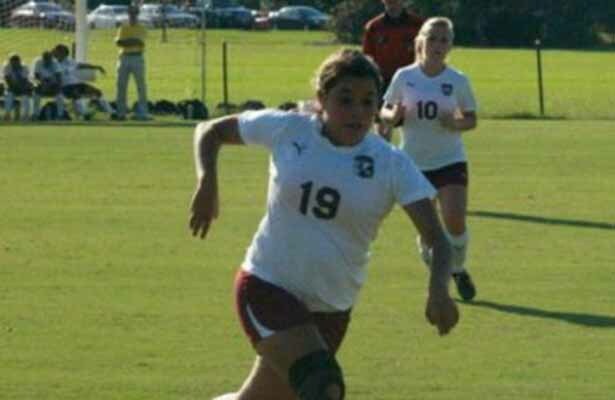 Preseason training for the USC Salkehatchie women’s soccer team will start bright and early on August 5 when the players will be given the opportunity to demonstrate their fitness level. Over the next 7 days, the team will work on taking that fitness level up a couple notches and get to play a lot of soccer as they learn to work together and execute the Indian’s tactics and style of play. On August 14, the Indians will play an exhibition match against Brewton-Parker College in Mount Vernon, Georgia, at 5pm, and then return to practice the next day in order to get ready for another pre-season match on August 21in Aiken versus USC Aiken. This game will kick off at 5pm as well. The Indians’ regular season will begin a few days later on August 24 when the team takes on Region X foe Wake Tech at home in Allendale with game time slated for 3pm.